Based on the new market situation, Gaza cooperatives diversify their markets and now supply the West Bank and Russian consumer markets. The EU market still has high priority for the long term. Despite damages and losses during the 2014 summer, vegetable farmers in Gaza planted their fields in August and September as they did for years. Since November the production of various vegetables is on the market. In addition to the EU markets, new opportunities have been found in the West Bank and Russia. After years and years of talks, it was announced by the Israeli authorities this year that distribution from Gaza to the West Bank would be possible. Even then the process was slow, but now these new regulations became reality. Since late November a range of products is being sold in the West Bank. Gazan strawberries, tomatoes, cucumbers, sweet peppers, zucchini, and dates find their way through the Kerem Shalom crossing in the south of Gaza, mainly to the Hebron central market for further distribution all over the West Bank. 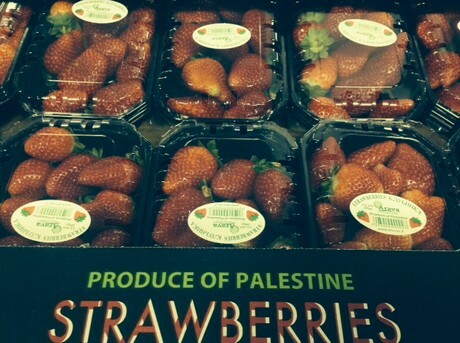 The Russian ban on EU products created new opportunities for Palestine Crops. 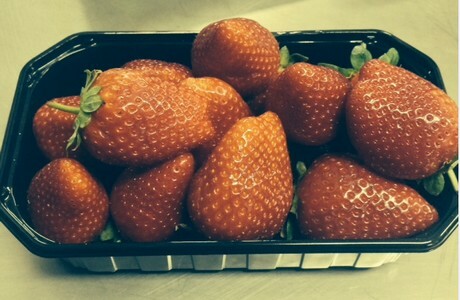 Late November the first shipments of strawberries were sent to the Russian market, through an Israeli marketing company. For the coming months a weekly volume of about 120 tons/week is expected to be available, which gives the Gazan farmers good hope on a successful season. Within a program by the Food and Agriculture Organization of the UN (FAO), Palestine Crops offers a range of Global GAP certified products. Local and Israeli marketing companies collaborate with the farmers and their cooperatives to export the produce through Israeli ports. Although other destinations are being examined and became reality, Gaza still targets the EU market with high priority. In particular strawberries, fresh herbs and cherry tomatoes are promising and competitive products for the market in Western Europe.